The US regulators increased scrutiny of Indian drug exporters is giving the pharmaceutical industry the jitters. On a cold Sunday afternoon in January, Peter E. Baker is in Toansa village, Punjab. He is at the gates of the showcase plant of Ranbaxy, Indias leading pharmaceutical company, some 160 km from Chandigarh airport. This plant makes the active ingredients that go into tablets. The security guard seems unaware not only about who Baker is, but also about the organisation he represents - the US Food and Drug Administration (FDA). He contacts the plant supervisor. Drug industry executives know Baker only too well. A senior executive at a Mumbai-based pharma major says of Baker, a veteran investigator with the FDA: "Not only does he catch you when you least expect him to, but his style of functioning is unique. He will look at the most unexpected places in the plant... If he finds anything wrong, he will doubt everything, and youve had it." Stories doing the rounds in pharma circles tell of dustbins being checked at one company, and urinals in another. The executive adds: "We look into every minute detail now, but still just hope and pray that nothing ever goes wrong." He spoke to Business Today strictly on the condition that neither he nor his company would be named. 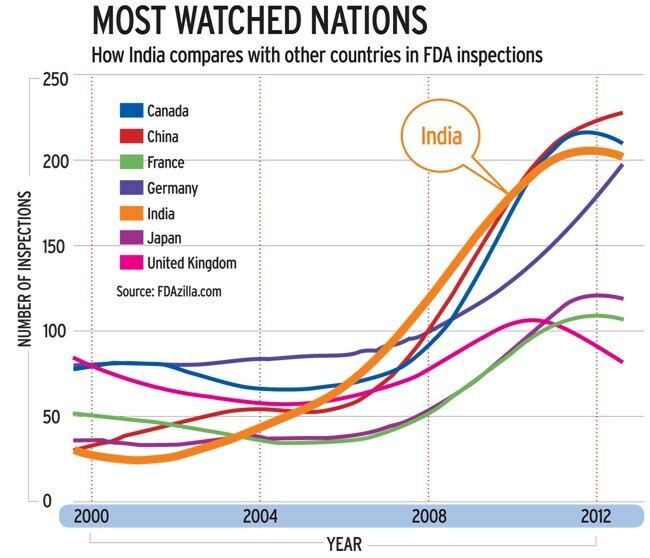 As for Baker, data from FDAzilla, a website that provides intelligence on the US drug regulators inspections, suggests that his share in inspections is growing in India. In 2012, he was involved in only six of the 251 FDA inspections in India, but 21 of the 169 inspections in 2013. And there is good reason to worry when he comes knocking. He has been a factor in many warning letters that Indian drug makers - notably Ranbaxy and Wockhardt - have got from the FDA. A pharma company CEO, who does not want to be named, says: "After I learnt that the Mohali facility of Ranbaxy did not have water heaters in the bathrooms, I checked all our bathrooms in the plant, and to my surprise, we did not have them either. The thought that it could become a point for closure... I immediately had them installed." Another pharma company head personally took his team of experts to check urinals and drains in the plant after reading the FDAs observations on Wockhardts factory. Experts expect vigilance to increase. Shamnad Basheer, a former professor of intellectual property law at the West Bengal National University of Juridical Sciences, says: "India has definitely moved up in the priority list of inspections." He says companies that are unable to cope with this may have to shut shop. He adds: "Big companies will spend more money and resources in ensuring compliance, and will pass on the higher costs to consumers. However, their competitive edge in the market will reduce." 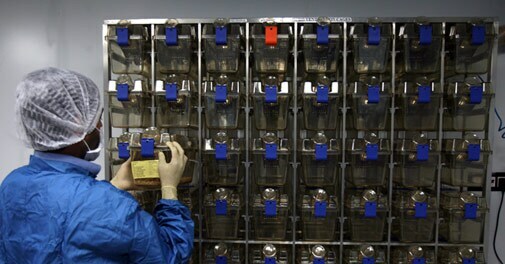 In September last year, Neha Manpuria, Pinakin Parekh and Sean Wu, analysts at JP Morgan Asia Pacific Equity Research, noted in a report on the Indian pharmaceutical industry: "Regulatory headwinds remain one of the key risks to the Indian pharmaceutical sector, especially in light of the increasing scrutiny by the FDA to ensure quality and compliance. While the volume of warning letters issued by FDA has increased 10x over the last four years, there has been a higher impact on Indian companies recently from the increasing activities of the US regulator (import alerts, warning letters, Form 483s)." Form 483 is an FDA document that notifies a company of objectionable conditions. The company needs to respond in writing stating its corrective action plan, and then, of course, implement the plan. The authors of the JP Morgan report note that the implications are huge. "In our view, the risk associated with the changing regulations and increasing inspection by the FDA would be a key variable to track, given the exposure of the most Indian pharma companies to the US markets (revenue contribution of 25-55 per cent for large domestic companies). A warning letter or import alert on any facility not only impacts the revenue stream from the unit, but also affects the drug makers ability to make timely ANDA filing from the facility." The ANDA, or Abbreviated New Drug Application, is filed for generic drug approval for an existing licensed or approved drug in the US. The report further notes that "higher FDA scrutiny is likely to result in enhanced focus and investment on compliance (and regulatory costs too)." The reports authors say they do not see a risk to long-term valuations of the sector, as the US would remain a key market for the Indian generic drug makers. India supplies around 40 per cent of the generic drugs and over-the-counter products sold in the US. Estimates vary, but the point is that the US is important for Indian drug companies. Going by Pharmexcil (Pharmaceutical Export Promotion Council of India, a government body) data, the 40 per cent figure is by volume since, Indias share in the $63-billion US generics market in 2012 was 3.07 per cent by value. Even so, the FDA notes that India is the second largest provider of finished dose products to the US, with almost 10 per cent of that market. India has the second largest number of FDA-approved plants for ingredients and formulations - 370 plants, to be precise - outside of the US. 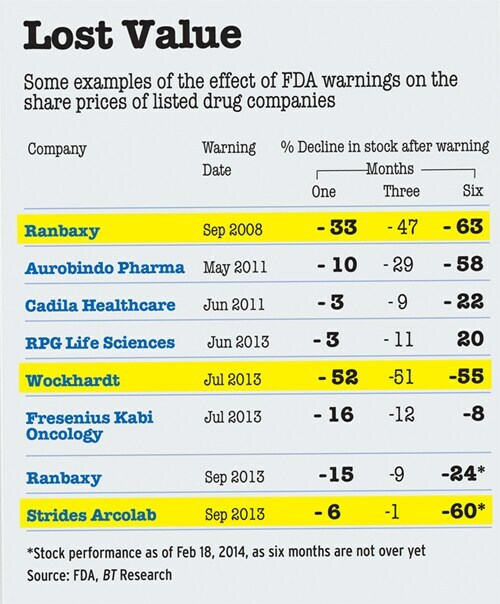 So its not surprising, really, that Indian drug companies are under increasing scrutiny by the US regulator. 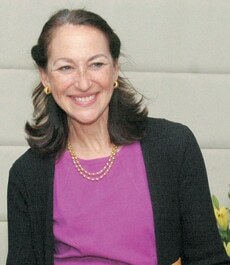 FDA Commissioner Margaret A. Hamburg told Business Today in an email interview (businesstoday.in/usfda-hamburg ) during her recent visit to India: "We will increase our presence in India. In March 2013, we received approvals from the Indian government to add seven drug investigators. This will increase our presence to 19 American staff based in-country, including 10 dedicated specifically to drugs." Besides becoming more frequent, inspections are also more often unannounced. The days when companies got three months advance notice are history. 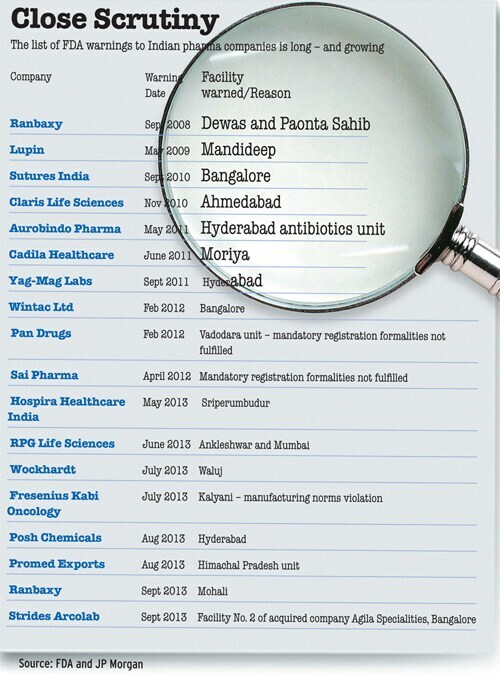 Adding to Indian drug makers anxiety is the nature and scope of the inspections. "It is no more just a quality audit of a facility," says a promoter of a mid-sized company. "I remember distinctly from our earlier inspections that we never had to drive down our product development people for the inspection.... They started gradually getting into how the product was developed, which is more of an R&D forte and not something the manufacturing plant people would be well versed with." He says this trend may be because events at Ranbaxy led inspectors to think that perhaps development itself was flawed, and to doubt whether what was written in the product development report was actually done. Additionally, he says, there are new guidelines on testing for extractables and leachables (minute amounts of chemicals originating from containers, medical devices or process equipment, which could end up as contaminants in the medical product). He also says they are now getting into concepts such as Quality by Design (QbD), which involves identifying characteristics that are important from the patients perspective, identifying the material attributes and manufacturing parameters to achieve those characteristics, and then designing manufacturing controls and developing methods to make improvements. Unlike 'quality by accident - taking corrective action after a failure occurs - QbD helps manufacturers focus on developing process understanding and action to avoid failures. The FDA explains this and more at length. In her statement before a US Congress subcommittee on energy policy, healthcare and entitlements, Janet Woodcock, Director of the FDAs Center for Drug Evaluation Research, notes that the drug regulators inspection and compliance focus has changed in recent years. She notes: "We have enhanced our inspectorate capability and increased familiarity with the quality systems model. Some of these inspections have found operations with antiquated or obsolete facility or process elements, and operations with high defect rates.... These operations are receiving higher focus, while manufacturing operations that have been upgraded and are more dependable have been de-emphasised." Woodcock does not specifically refer to India when she says: "Use of foreign-sourced materials creates vulnerabilities in the US drug supply.... For example, most of the US heparin supply comes from non-US sources. When contaminated heparin, sourced from China, was found in the United States, FDA had to urgently devise several tests to detect the contaminant and screen out contaminated product, because heparin is a critical drug for US patients, and there was no adequate alternative source." Heparin is an anticoagulant. Shailesh Ayyangar, Managing Director of drug maker Sanofi India, Vice President - South Asia, Sanofi, and President of the Organisation of Pharmaceutical Producers of India (OPPI), a group of largely multinational drug companies, says: "Lets face it. We are not in a sellers market. We are in a buyers market, and the buyer - lets say, for arguments sake, the US - has the right to decide what quality standards it wants from the second largest exporter of generics to the US. It is therefore in our interest to ask the right questions, get the consultants to help us with systems and processes." He notes that many companies are getting nervous today because a lot of questions are being asked, and adds that regulators face flak in their own countries if they approve products that turn out substandard. While standards tend to evolve continuously, the rapid pace of change is causing the industry some worry. In a recent newspaper interview, industry veteran and Cipla Ltd Chairman Y.K. Hamied said about the US: "If you change the goalposts every few months without informing me, how will I know?" He says he is happy that FDAs Hamburg indicated to Business Today in her first interview in India that her staff would work with Indian companies to help them self-correct. "I am happy if she wants to take industry into confidence," says Hamied. While Ranbaxy and Wockhardt are facing challenges in getting issues resolved, others seem to be achieving greater success in addressing US concerns. For instance, Indoco Remedies said in a statement to the Bombay Stock Exchange on January 17: "The Goa Plant II (Sterile) was first inspected in October 2005, re-inspected in February 2011 and the last inspection was conducted in August 2013 by FDA. On the last day of inspection, the 483 was issued.... In our response on September 16 to the 483, we have given a list of the corrective actions taken.... With the last compliance report sent on November 25, 2013, all the issues stand resolved, and the Company is awaiting establishment inspection report, which normally takes five to six months." Indocos Managing Director, Aditi Kare Panandikar, says: "Challenges for some could be increasing also because the regulatory expectations are also going up." All of this, as one might expect, adds to development costs. "A back-of-the-envelope calculation shows that our cost of compliance has nearly doubled in the last five years," says a senior executive who tracks compliance in a pharmaceutical company. Others see a smaller hit. "The cGMP cost of compliance and maintenance is typically 35 per cent higher than the usual manufacturing and maintenance cost," says Venkat Jasti, Chairman and CEO of Suven Life Sciences. cGMP stands for 'current good manufacturing practice, and refers to regulations enforced by the FDA to ensure proper design, monitoring, and control of manufacturing processes and facilities. The executive says many major companies are already compliant with cGMP requirements, and smaller ones will have to do likewise now. Bob Rhoades, Vice President at Quintiles, a consultancy that helps companies with third-party audits, staffing, and effective IT in quality systems, told Business Today in an email response: "Increasing enforcement activities by the FDA are clearly having an impact in India and beyond.... Regulatory compliance is definitely more of an issue today than three years ago - and will continue to be so.... To protect market share and reputation, timely achievement of baseline compliance is vital.... In this environment of heightened regulatory scrutiny, we believe traditional compliance alone - where quality assurance and compliance are backroom cost centres - is insufficient." Over the past few years, most leading Indian companies, such as Glenmark and Dr Reddys Laboratories, have been increasing their engagement with external auditors, some of whom are either former FDA officials or drawn from the pharmaceutical industry. At present, besides Quintiles, Lachman Consultants is among the most sought after. Leading drug makers have also been focusing on strengthening internal audits by reviewing and expanding the checklist of items covered. For example, Panandikar of Indoco, which recently underwent a FDA inspection, says her company has focused on strengthening its regulatory affairs team (currently 35 people) over the past year. The team tracks regulatory developments worldwide and regularly updates the management. Indoco has built a regulatory affairs network that keeps people at the corporate level in constant dialogue with people at all its plant locations. Rhoades of Quintiles says his company is often called in after a drug maker receives a warning letter. However, he adds, "in other cases, companies bring us in proactively to help identify continuous improvement opportunities within their quality systems." Ayyangar of Sanofi says multinational drug companies with FDA-approved plants in India have raised awareness by investing in training programmes. "We are getting international experts in regulatory processes and quality assurance to visit our plants in India, and we have also been sending people from here to international facilities so they can learn about systems approved by the FDA," he says. Sanofi India has two solid dosage form plants (which make tablets) in Gujarat and Goa, and a FDA-approved one in Gujarat that makes active pharmaceutical ingredients, and a vaccine plant in Hyderabad. He says: "They all comply with international standards, and we have various regulatory approvals. We constantly endeavour to upgrade the systems." 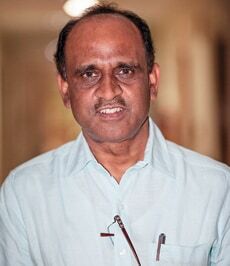 Kewal Handa, former managing director of Pfizer India, who now runs health-care advisory firm Salus Lifecare, says: "Instead of reacting in a panic, companies should proactively take to improving their quality culture, and one good way would be to have some of these consulting firms conduct mock FDA-like audits and use the findings to improve quality systems." Mock audits are not cheap - a two-month audit could cost as much as Rs 50 lakh, perhaps more. They could add to a companys cost of compliance by a couple of crore rupees a year, but Handa says its worth it. He adds that companies should share the action taken in such audits at the next FDA inspection. At 370, India has the second largest number of FDA-approved plants outside the US"
Rhoades says that while quality problems or enforcement actions may drive a company to begin its journey up the "compliance maturity curve", the best time to take action is before such problems surface. "Timely and proactive efforts to drive sustainable compliance minimise the risk of quality problems," he adds. He notes that in more than 35 years of experience in advising on quality and compliance issues, he has found that India is by no means alone in facing compliance challenges. The FDA is not the only concern of Indian drug makers. So is the investigation by the US Inter-national Trade Commission (USITC) into allegations of Indias unfair trade practices. The USITC is scheduled to submit a report to the US government in late 2014. There is no immediate threat, says D.G. 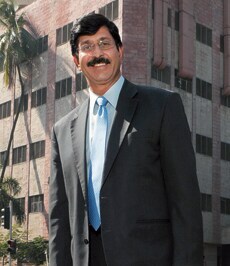 Shah, Secretary General of the Indian Pharmaceutical Alliance (IPA), an association of domestic drug companies. But if the report takes a dim view of India, "it could be used to impose trade sanctions". Besides pharmaceuticals, the IT sector could also be affected by it. Running parallel are arguments by some in US industry favouring action against India under a provision that enables the US Trade Representative identify trade barriers to the US and act to counter them. Shah says there is pressure to get India downgraded from "watch list" to "priority foreign country". He adds: "If a country is put in this category, like Ukraine at the moment, imports from it into the US will attract duties." He recently returned from Wash-ington, DC, where the IPA presented the Indian case before the USITC. Last year, Shah presented a testimony before a US Congress committee in response to allegations by Pfizer Inc in March 2013 that India repeatedly defied trade rules and discriminated in favour of domestic generic drug manufacturers, among other things. Industry sources say compliance with global standards typically means 35% higher manufacturing and maintenance costs"
Shah says India is compliant with TRIPS (the World Trade Organizations Agreement on Trade-Related Aspects of Intellectual Property Rights), and US industry is unfairly comparing Indias intellectual property rights regime with its own. The Indian regulator, the Drug Controller General of India (DGCI), also wants to review provisions on quality. Its head, G.N. 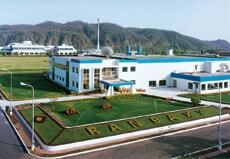 Singh, says it is looking to step up on good manufacturing practices. He says 'Schedule M of the Indian Drugs and Cosmetics Act, for instance, needs to be revisited. He is referring to the part of the law that specifies the requirements for factory premises and materials, equipment, and minimum recommended areas for basic installation for some types of drugs. US markets account for 25% to 55% of the revenues of large domestic companies"
He says that during the last drug consultative committee meeting, held late last year and attended by the different drug regulators in the country, he emphasised that it was high time India caught up with global technological developments and practices, and had science-based practices and dynamic processes. He says: "As part of this, there is a plan to review and strengthen Schedule M and harmonise it on the lines of the World Health Organizations 'Good Manufacturing Practices." In the meantime, Indian drug makers will be taking note of Peter Bakers observations at the Toansa plant, and checking for flies in the sample preparation room and broken storage cabinets.